As a business owner, you will want to understand the perspective of your Buyer including their experiences and their views of shopping on your eCommerce/Showroom stores. The Buyer Accounts Knowledge Articles seek to inform you of their experiences, challenges and things you can do as a business owner to help make their experience more enjoyable for ordering product from your stores. After all, it is your Brand they will remember when they want to shop again. Keep in mind that Buyer Accounts are not counted towards your subscription and are always free. You can have as many buyers (and accounts) as needed to run your business. 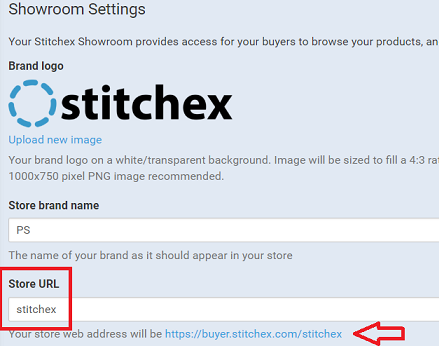 When your buyer goes to your URL (even before they attempt to login), they are presented with your products. If your products are not setup correctly they will see "Seasons" without images or may see older Seasons that potentially should be revamped or retired. In fact, it is on this screen your buyer chooses whether to "Apply for this Brand". You will want to view this page regularly to ensure it is representing your Brand appropriately and presenting an enticing store front that sways your buyers to enter eagerly to see what is on the other side. You have several options when cleaning up your storefront to ensure it is representing your Brand appropriately. To rearrange your Seasons so that the most relevant or most popular are displayed first, see our Showroom Season Display Order Knowledge Article. To set cover images for your Seasons, see our Knowledge Article on Managing Seasons.